What would you do if you discovered a naked man peeping at your 13 and 15 year old daughters through the window? That wasn’t a theoretical question for Emilio Chavez. According to KRQE-TV, Emilio Chavez III of Albuquerque allegedly beat Dylan Maho so badly after he found the man naked outside his home that he has been charged with aggravated battery. Maho had to be taken to the hospital in critical condition but is now stable. The incident occurred Thursday around 2:30 a.m. when family members heard something outside of the 13 and 15-year-old girls’ window. A 911 call was made, but when police arrived they found that the girls’ father, brother and a friend had apparently chased Maho down the street. When police found Maho, he had been beaten. …Once in better condition, police are expected to charge Maho with voyeurism, which is a fourth degree felony when committed against victims who are minors. 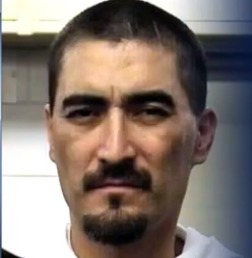 Chavez’s aggravated battery charge though could be a third degree felony if “great bodily harm” was inflicted. Speaking with KRQE, Chavez said he was so angry, he doesn’t remember chasing down Maho and that he wishes he didn’t beat him so badly. Let’s be perfectly honest: Maho deserved to be beaten and no one should begrudge a father for giving him what he deserved in that situation. Maho’s behavior was outrageous and the fact that the father is being charged under the circumstances is even worse. You may say that the law requires that Chavez face charges. Maybe so, but it just shows you the difference between the law and justice.